Unless you were hiding under a rock in 2017, you probably heard about the major Equifax data breach that exposed the personal financial information of 143 million consumers. You may have even taken steps, like freezing credit and changing passwords, in response to the news. However, what you may not realize is that you are under a greater threat from the credit reporting agencies every day that rarely gets covered in the news and may be costing you thousands of dollars. What is the threat? Errors—even small ones—on your credit report. Why are there so many errors on credit reports? Mostly because it’s not worth the credit reporting agencies’ time to make sure their reports are accurate. Ultimately, it’s up to you to check your reports often and take measures to correct errors. But you don’t have to do it alone! 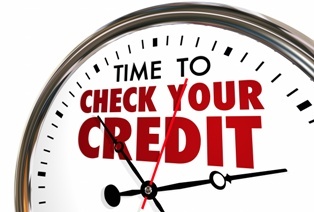 I can make those credit reporting errors go away and possibly get you compensation, all without costing you any money up front! Contact me online or call my office directly at 855.982.2400 to get your FREE case evaluation. You'll be surprised at how quickly the threat of a lawsuit will get the attention of these companies. Protect yourself from these costly errors by taking action today!